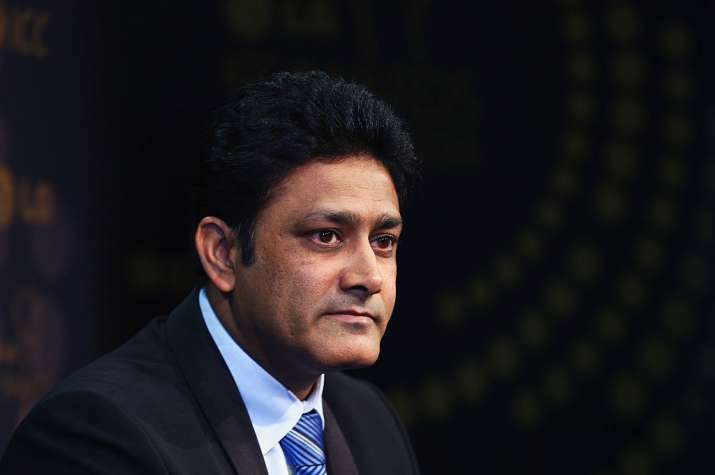 NEW DELHI: Former India coach Anil Kumble, known to give it all on the field, attributed his approach to a disciplined upbringing that eventually got him the unpopular tag of a "headmaster" later in his illustrious career. Kumble, in a chat with Microsoft CEO Satya Nadella, talked at length about his childhood learnings that went a long way in him becoming a champion cricketer. Patiently listening at the other end was Hyderabad-born Nadella, a self-proclaimed cricket fan. When Nadella asked Kumble about the values he inherited from his parents, Kumble said: "The self belief. It comes from the values that you inculcate, looking up to your parents and grandparents." "My grandfather was a headmaster in school and I know that term (headmaster) kept coming back to me later in my career. Some of them here will understand (what I am talking about)," said Kumble drawing a gentle laugh from the audience. Kumble, who earned the reputation of a hard taskmaster, quit as India coach in June under controversial circumstances, citing his untenable relationship with India captain Virat Kohli. Since then, India's leading wicket-taker has maintained silence on the issue and so has Kohli. The conversation between Kumble and Nadella revolved around Microsoft CEO's book titled 'Hit Refresh', released recently. Both talked at length about the 'Hit Refresh' moments in their lives. Kumble said the Australia tour in 2003-04, when India managed to draw the four-Test series, was the time he faced the challenge of reinventing himself. "As a cricketer, you have to hit refresh literally at the end of the every series. Challenges from one series to another are different. But I would like to mention the Australia tour in 2003-04 when I was at the crossroads of my career. "I was competing for a place in the eleven (with Harbhajan Singh). People had started talking about my retirement as I was in my 30s. I got an opportunity in the Adelaide Test which we famously won. "I was expensive on day one but came back to take a five- wicket haul. I understood the need of doing something different. So I started bowling a different type of googly, something I had learnt during my tennis ball days. That is when I realised I can make subtle changes to improve my game." Asked about the defining moment in Indian cricket, Kumble picked the World Cup win in 1983 and Australia's tour of India in 2001 when the hosts bounced back to win the series 2-1. "The best part of playing in the 90s was that we almost won everything at home. But if you have to pick one hit refresh moment, it was the Australia-India series in 2001. I did not take part in that due to injury. "That was the time when the team realised its true potential. Since then Indian cricket has gone from strength to strength and we are number one at the moment," he added.